-You also may have noticed that my other podcast called NewMediaShow.com episodes sometimes get published to SLS feed and that is because my co-host is traveling and we can do the show live from anywhere. We normally do live video. - Mid-Rolls are available on Spreaker NOW - Get them while they are HOT! Then Set Max Ad Duration - 15, 30, 60 sec ? Then visit episodes below on the page and click on episodes - message seen “Mid-Rolls are only available on downloads and distribution platforms using your RSS Feed. They are not yet available on the Spreaker website and on the Embedded player”. Then select Cue Points/Insertion points in your show with wave form view. I may have a solution to a lot of what you guys were talking about as far as midroll is concerned. In the ad settings, i enabled pre-roll, you can also set it for no ads if you really don't want pre roll. Then, when i add a midroll to an episode, i select override pre roll and override midroll settings. That way, i don't have to address my back catalog until i'm ready, they'll just have pre-roll until i make the time to change them. Also, when i edit a new show, i make sure to edit in an extra little few seconds gap in the spot where i'm going to put the midroll, like when i start a new thought. Finally, a really cool trick, if you have a live read, or just want to make an affiliate commercial. You can do a hard commercial break, that way if the midroll isn't there (spotify) there's still your live read, so it doesn't sound weird. We’ve made it possible to share episode links, schedule social sharing and embed episodes in your blog – all of which are unpublished and all well in advance. From now on, once you record and create your show you will have the opportunity to create a scheduled episode page for future episodes, informing your audience of when they can expect your next episode to be released. How far in advance can you go? More than two years! The holding page will show your podcast’s image and will state the exact time and date of when the episode will go live. For example via e-mail or website. It will also allow you to programme your social media channels – offering you the chance to promote each episode to its maximum capability. Last but not least, you will also be able to insert unpublished episodes into your blog, giving you complete flexibility with how you want to promote upcoming episodes. We also want to make it as easy as possible for you. 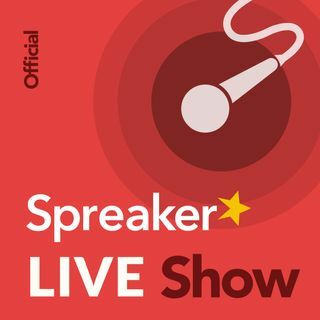 You’ll find your episode links and embedded codes by accessing your Content Management System on Spreaker’s homepage and then all you need to do is copy and paste them to your desired places and get promoting your podcast as much as possible! -Official Statement: Due to the overwhelming uptake in podcast consumption and podcasters submitting - that Spotify is going to be making some back end updates to better serve both groups. There may be some latency in publishing new feeds during this maintenance period lasting approximately four to six weeks. We are all hoping the pipeline for submitting show feeds to Spotify will open up again in early June, but we don’t know for sure if they will hit that time frame or not. I can make you some royalty free music. Can you do I live show, but not have it save as an episode?